In the US, the NSA has called out this strategy as the way forward for stopping advanced threats. 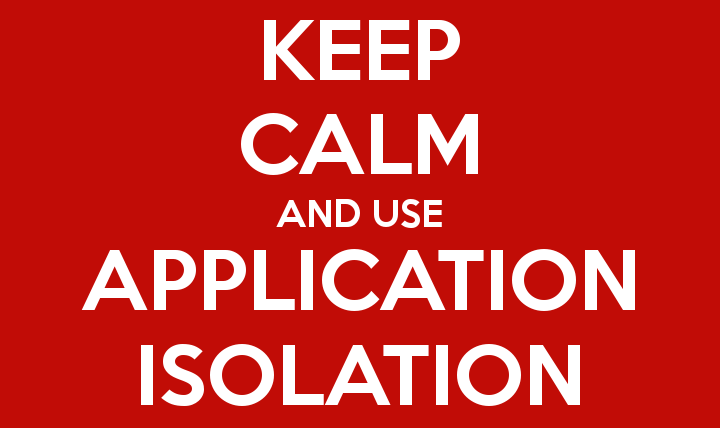 Too many technology folks, Application Isolation may be a new term when it comes to cybersecurity and endpoint protection. This term has been made popular by the National Security Agency (NSA). They detailed how Application Isolation is the way forward for finally stopping advanced, zero-day, and nation-state malware. Let end users work: protect against malicious email attachments. Click with confidence: get malicious phishing protection. CISOs focus on app isolation: Get the free Security Current Report.